Thrill Rides For Sale mean those amusement park rides bring people crazy experience through running in different extreme ways. Thrilling rides include large & small type amusement rides for adults and also kids use. There are various High Quality and Cheap Thrill Rides for sale in Powerlion, a professional amusement rides for sale manufacturer in China. Any Interest? Welcome to Email us for Free Quote. Contact Us To Buy Various Cheap Thrill Rides For Sale! Thrill Rides as a kinds of popular amusement rides for sale have features of high quality, exciting, interesting, crazy and extreme. Thrilling amusement park rides can be widely used for adults and children in amusement park, theme park and fairground. 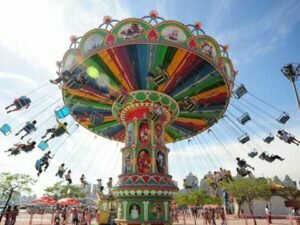 Powerlion Amusement Company is a professional amusement rides for sale manufacturer in China and has many years’ experience of manufacturing and exporting. Powerlion thrilling amusement park rides are manufactured with high quality steel & fiberglass structure materials base on professional manufacturing technology and production equipments. Powerlion have own factory and designers to serve for customers in control of quality and appearance design. Powerlion can send professional designer to design the unique and beautiful thrill rides appearance according to your special requirements. Powerlion thrilling rides are equipped with high safe and pollution-free colorful paint and high quality LED bright lights. Powerlion thrill ride exports to many countries of Australia, Las vegas, Osaka, Vienna, Atlanta ga, Seattle, Chicago, Japan, Korean, Saudi Arabia, Nigera, Brazil, UK, Spanish, Russia, Kazakhstan, Singapore, Pakistan, India, Indonesia, Orlando and so on. Welcome to buy Powerlion Thrill Amusement Rides for sale Cheap. Contact Us Now For Our Best Price. Leave Your Requirements Below To Get Beston Amusement Rides For Sale Cheap!